It’s been a good few weeks for Twisted Sister fans. First, Dee Snider’s Dee Does Broadway hit the shelves, now the Armoury Records Remaster Series delivers a double-dose of live music for the band’s SMFs. First up is Club Daze Volume II: Live in the Bars, remastered by bassist Mark Mendoza. 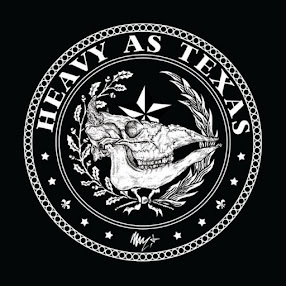 Originally released in 2001, the album starts with a pair of 1984 studio tunes that didn’t make the band’s classic Stay Hungry album – “Never Say Never” and “Blastin’ Fast & Loud.” Both were finished and recorded for this album’s original release. Neither are as strong as anything from Stay Hungry, but both are solid tunes. “Blastin’ Fast & Loud” is the winner between the two, capturing a little more of the raw sound. Those two songs are followed by seven songs from a 1979 Halloween radio show that never aired. Most of them are unfamiliar and have a little more of a 1970s hard rock feel than what the band became later. The notable exception being an early performance of “Under the Blade” from the band’s 1982 debut album of the same name. It’s by far the most metallic song on this portion of the record. Guitarist Jay Jay French gets a turn behind the mic on “Can’t Stand Still,” a blues rock tribute to both Bela Lugosi and Chuck Berry. The final four songs were taken from radio session and include a couple of interesting covers in Little Richard’s “Long Tall Sally” and Chuck Berry’s “Johnny B. Goode.” The Little Richard tune gets a slowed-down, heavy treatment, while the Berry number has an almost punk-like feel. The sound quality on both of the covers, though, is pretty rough. Club Daze II is an interesting time-capsule type look at Twisted Sister just before their star rose to national attention. Live at Hammersmith, on the other hand, chronicles a live performance at the height of the band’s popularity in 1984. The two-disc set features a complete performance from London’s Hammersmith Odeon, along with a couple of covers from 1979 – Elvis’ “Jailhouse Rock” and the blues-rock standard “Train Kept a-Rollin.” The band rips through a blistering set of tunes that includes cuts from the first three records. Considering the performance comes on the heels of their biggest record, Stay Hungry, there’s a pretty good mix in the 14 tracks. You get five from Stay Hungry, five from You Can’t Stop Rock ’n’ Roll and four from Under the Blade. Between the crazy, cross-dressing and makeup-drenched image, the iconic cartoonish videos for their biggest hits and Dee Snider’s testimony against the PMRC in Congress, one fact often gets lost about Twisted Sister: They were a pretty damned good hard rock band. Despite the garish personas and stage outfits, when they cranked up the amps, they rocked the place. That’s backed up by the performance on this record, which doesn’t have a dull moment even without the visual. They crank out the big hits to much applause – “We’re Not Gonna Take It,” “I Wanna Rock,” “You Can’t Kill Rock ’n’ Roll” – but they also deliver powerful versions of a couple of my favorites in “Destroyer” and “Burn in Hell,” the second of which gets at least as good a reception as any of the hits. “I Am (I’m Me)” might be the strongest performance on the record, getting a nice sing-along from the crowd, and of course, there’s the grinding tribute to the band’s fans “SMF.” Just as enjoyable as the 1984 performance, though are the two added-on covers from 1979. “Jailhouse Rock” fits the personality of the band perfectly, and “Train Kept a-Rollin’” is a well-executed version of the classic Aerosmith live cover of the tune. Snider, of course, can’t match Steven Tyler, but the band matches almost note-for-note with a little guitar solo ad-libbing in the middle from French. 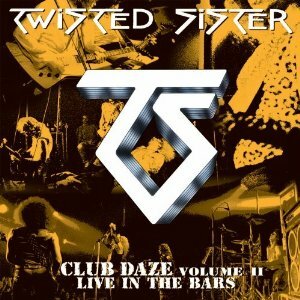 Both albums are nice pieces for the collection of any Twisted Sister fan, offering glimpses into both their most popular days and their earliest performances. 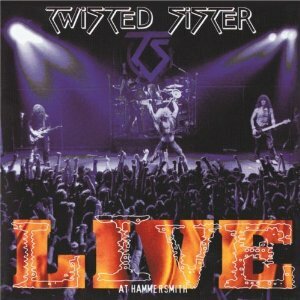 Live at Hammersmith, though, I’d say is a must-own.